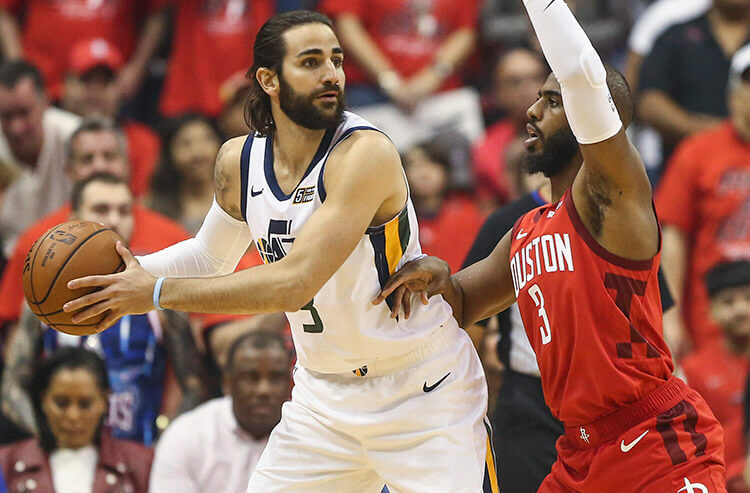 The NBA playoffs getting underway Saturday, and basketball bettors will try to figure out where they might have an edge. The Eastern Conference is seemingly wide open, with LeBron James and Cleveland just the No. 4 seed, while out in the Western Conference, injury-riddled Golden State is suddenly suspect, with some sportsbooks actually lowering the Warriors to the second choice to win it all. However, Golden State and Cleveland aren’t the chief concerns for oddsmakers. 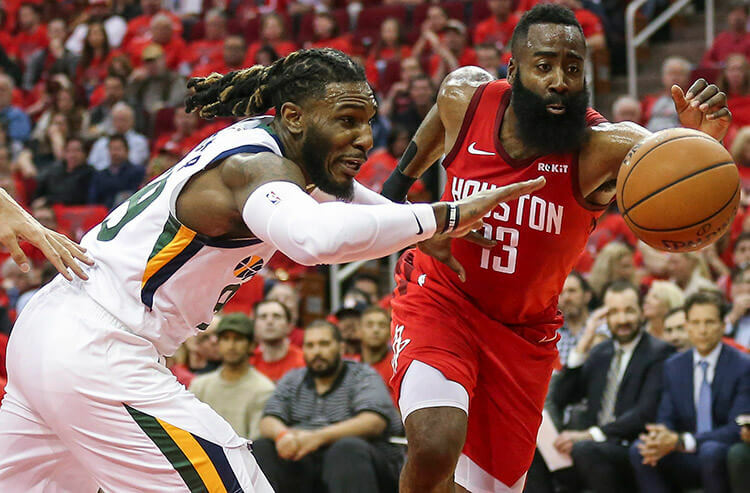 Covers takes a look at three teams sportsbooks are rooting against to win the NBA title, with insights from Tony Nevill, sportsbook director at Treasure Island on the Las Vegas Strip; Nick Bogdanovich, director of trading for William Hill US in Vegas; and Mike Jerome, lines manager for offshore sportsbook TopBet.eu. 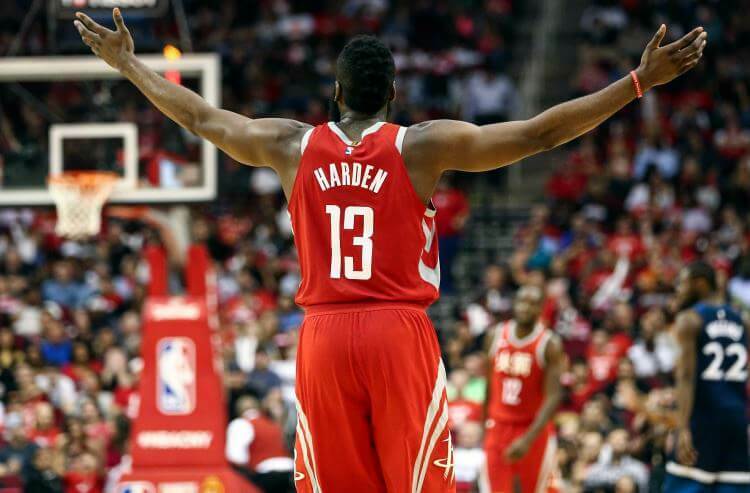 With Chris Paul joining James Harden in the backcourt, Houston put together a stellar season, posting the best record in the NBA. The Rockets went a stout 65-17 SU (41-40-1 ATS), including an eye-popping 28-1 run from Jan. 28-March 30, a stretch that began with a 17-game winning streak. Bogdanovich now has Houston as the favorite to take the NBA title. “We opened the Rockets at 30/1, now they’re even money. They’re the lowest-priced team,” Bogdanovich said, noting Golden State – which was as much as a -280 favorite – is now the +140 second choice. Much like Houston, Utah had a phenomenal final 2½ months of the regular season. The Jazz had win streaks of 11 games and nine games while going 29-6 SU in their last 35 outings. That allowed Utah (48-34 SU, 43-39 ATS) to leap from a team that was outside the playoffs to one that nearly nabbed the No. 3 seed before losing on the final night to fall to No. 5. Philadelphia is yet another team riding an extended streak of success. The 76ers (52-30 SU, 47-33-2 ATS) were a respectable 36-30 a month ago, then closed the season with 16 consecutive victories (11-5 ATS), cashing 10 in a row at one point. Nevill is equally unnerved by the Sixers. Treasure Island also opened Philly 100/1 and is now down to 10/1. 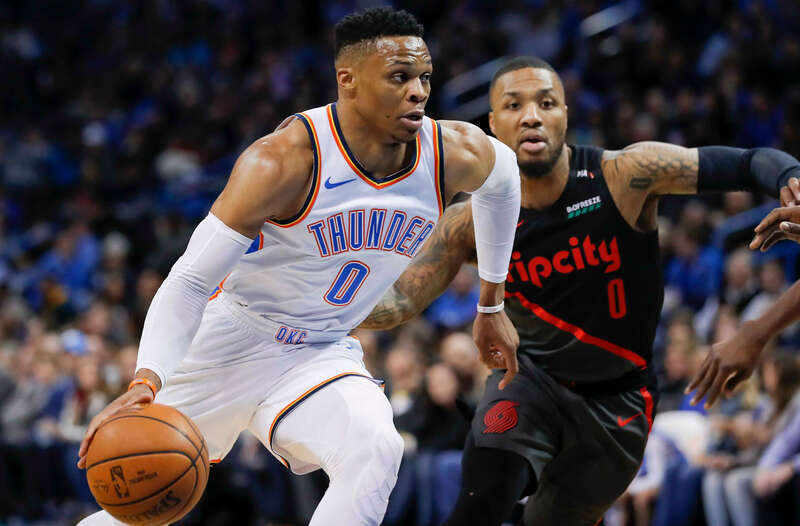 Oklahoma City had a less-than-stellar first month of the season, despite the additions of Carmelo Anthony and Paul George to go along with the sensational Russell Westbrook. But the Thunder had a solid December among a few strong stretches of play that included an eight-game win streak and two six-game runs. Nevill said Treasure Island has unusually high liability to Oklahoma City, so much so that a team that opened 50/1 is now at an anomaly-tight 13/2.